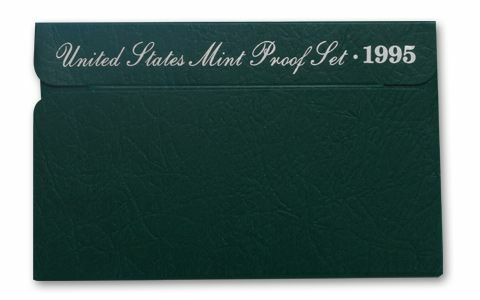 Interest in Proof Sets continued to decline in 1995, with sales of regular 1995-S Proof Sets just barely exceeding the 2 million mark. However, this is a great example of how 2 million sets doesn't always fill the collector demands. This is one of the key proof sets from the 90s. 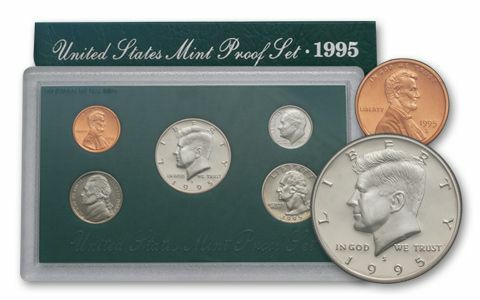 About the sets: All coins in the 1995-S Proof Set were intended to have a Cameo or Deep Cameo Finish. 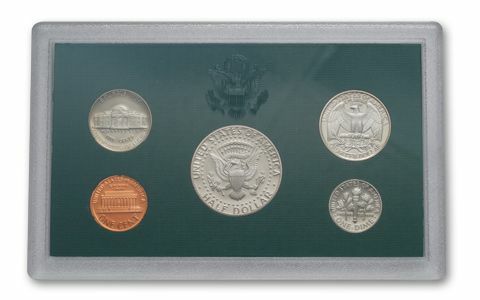 Original packaging: The coins of the 1995-S Proof Set were placed in individual holes in a green-colored, textured paper and cardboard insert, then sealed in a two-piece, clear plastic case. 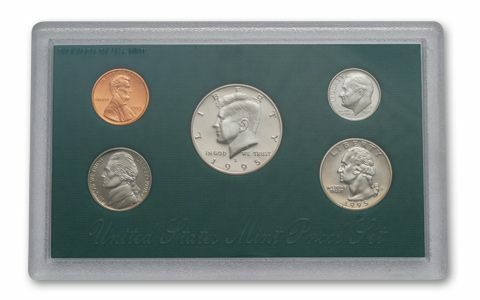 The case was then inserted, along with a Certificate of Authenticity, into a protective outer cover, consisting of green cardboard imprinted with the somewhat confusing silver words: "United States Mint Proof Set • 1995." The new collector might ask, "Is this a Mint Set or a Proof Set?"